A truly remarkable coming-of-age novel, Harper Lee’s To Kill a Mockingbird is a classic tale illuminating on both the brightest and cruelest parts of humanity. Through the eyes of our main character Scout Finch, To Kill a Mockingbird retells the life of residence in the Maycomb County during a time that examples the simple life of the white community and the prejudice faced by the black community. Entertaining readers with both joyous and troubling events, Lee’s novel constantly has readers curious as to what will happen next. What will happen during Scout and her brother Jem’s adventures? Will justice be found for those prejudiced in the city of Maycomb? Harper Lee’s To Kill a Mockingbird has been on my TBR list for far too long! So when Jackie over at Too Much of a Book Nerd asked if I wanted to buddy read this book with her, I obviously wasn’t going to say no. Lee’s classic novel is truly remarkable, grasping at your soul with every chapter. The insightful nature of the novel and the lessons provided to take forward in life give the novel much more substance than other pieces of literature. Every chapter provides some piece of value on how we treat one another, demonstrating the most beautiful and darkest parts of ourselves. Lee’s To Kill a Mockingbird exceeded greatly beyond my original expectations, becoming one of my new favourite pieces of literature. Overall, the story is a retelling from Jean Louise (Scout) Finch as an adult of her younger years living in Maycomb, Alabama. 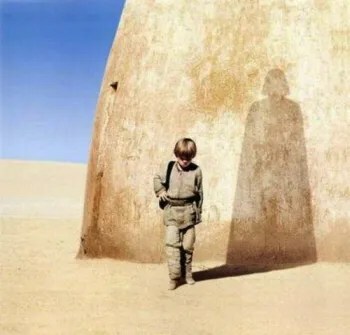 The time period is around the Great Depression and beginnings of World War II, which is greatly reflected in the plot by discussing elements such as the hardship of finances and mentioning Adolf Hitler. At the beginning, the story seems to be about the simple everyday lives of the Finch’s and other residence in the town. We learn about the mysterious Boo Radley, the harshness of Scout’s education quarrels, and the social structure of the families in the town. However, the story grows to discuss a much larger plot regarding the social injustices and prejudices faced by those in the black community. Atticus Finch, Scout’s father, is a lawyer who takes on a case defending a black man named Tom Robinson who has been unreasonably charged with sexually assaulting a young woman in the town. The plot of To Kill a Mockingbird begins to unravel into a number of themes: the presence of good and evil, the importance of moral righteousness, and the blatant disregard for social inequality. Lee uses a number of interesting literary devices to build the plot of this classic tale. One instance is the use of a circular story, also known in literature and film as the “How We Got Here” device. To Kill a Mockingbird begins with Scout Finch telling readers about her brother Jeremy’s (Jem) broken arm, and ends with the readers knowing the full story. This has been used a number of times in literature and film, such as S.E. Hinton’s The Outsiders. Another is the constant use of symbols to drive home the essence of the novel, such as the importance of the mockingbird. Near the beginning, the audience learns it’s a sin to kill a mockingbird since it does no harm to anyone. 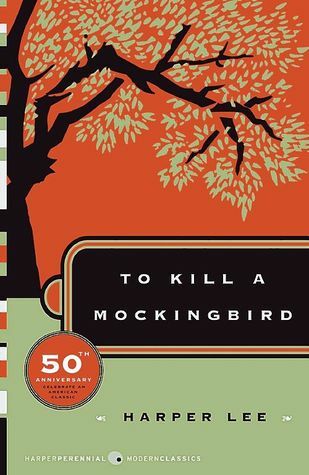 The image of the mockingbird reflects a number of characters, such as Boo Radley and Tom Robinson and the Finch family. Thus, the title alone foreshadows what’s to come in the story. Okay, I’m not going to go into detail on EVERY character in this novel. There’s honestly way too many characters and character development to even consider providing an analysis on them all, and it would cause some major spoilers. I’ll solely focus on the Finch family, but know that a large number of the characters are round and evolve a great deal by the end of the story. The Finch family represents the pinnacle of moral justice and social equality…literally. While many folks in the town are as friendly as a puppy one minute and then aggressive as a hungry predator the next, the Finch family general presents on aura of fairness to all. This is greatly shown in Atticus Finch, Scout and Jem’s father. He presents a different kind of masculinity and righteousness that wasn’t greatly seen during the 1930’s and 1940’s: he’s able to use firearms well yet strays from doing so; he’s an avid reader and learner; he has a great distaste for racism, such as the use of the n-word and the amount of social injustice inflicted upon the black community. Honestly, Atticus’ character can make the most selfless person on the planet feel as though they could offer more to the world. His parenting is questioned by many readers, but I found him to be a great father; he doesn’t pressure his ideals on his children and allows them the freedom to come to their own conclusions, but he definitely makes sure they are polite and courteous. He’s not overly affectionate, but this is not to a fault in my mind. Jem and Scout Finch are definitely not at the same level as Atticus, but these two are still young in the novel. Scout is 6 years old at the beginning and 9 years old by the end of the novel, so she definitely has some changes but is still very young throughout the entire series. She sees the world in a more innocent childlike light, not seeing the overall picture of prejudice and social inequality as those in the adult world. She uses words and expresses ideals that sometimes are seen as very inappropriate, but she begins to see the injustice of these thoughts as she both grows older and as she begins to see the darker parts of the world, such as the trial of Tom Robinson. My favourite aspect of her character is that she defies the social norms faced upon women, constantly presenting her opinions to anyone without hesitation and being as “tomboyish” as she wants to be. She’s a feisty one! Personally, I found Jem to have the most growth out of any character. He begins as a typical young rambunctious boy who sees the world similar to Scout, then ends as a better informed young man who unfortunately becomes more exposed to the adult world. Jem sees the injustice and wrongfulness placed upon the black community much more than Scout, which causes a shift in his ideals; these ideals end up being rather similar to Atticus. Jem is 10 years old at the beginning and 13 years old by the end, explaining the learning curve difference between him and Scout. He still shows childlike innocence and thought, especially with the trial, but it’s in a different way than Scout. The language in the novel is fairly interesting to say the least. The story is told from Scout Finch, but it flips between her speaking with the mentality she had as a child and that she has as an adult. It shows her development, especially as she sees how her younger self had some learning to do. The dialogue accurate reflects how the person of that social group would speak, which I found interesting. There has been discussion on how some parts show racism, such as Calpurnia switching how she talks with the black community in comparison to the white community. However, other research has shown that this is rather accurate to what would have happened during this time period. Just some fruit for thought. Know that there are derogatory words, such as “whore” and the n-word. As much as those words make me feel unsettled, I felt that they weren’t used unnecessarily in the text. It reflects the language used in the time, giving a proper representation of Maycomb in the 1930’s. You can read more on this in my “Let’s Talk Banned Books” post next week on this novel if you’d like! Harper Lee’s To Kill a Mockingbird has won a number of awards and continues to be taught in the school curriculum…there’s a reason why, folks. This novel is beautiful beyond words, bringing you to tears one moment then making you laugh uncontrollably the next. Lee’s novel is considered an original, vibrantly unique and daring in comparison to other pieces of literature past and present. Our society could take a lesson or two from the wise words written in Lee’s novel, learning from our past mistakes and making a change for a better future. Yay! I’m so happy to read it! It’s one of those few books that I re-read every year. I’m actually glad it was assigned for my 9th grade summer reading – Otherwise, I don’t think I would have read it willingly.